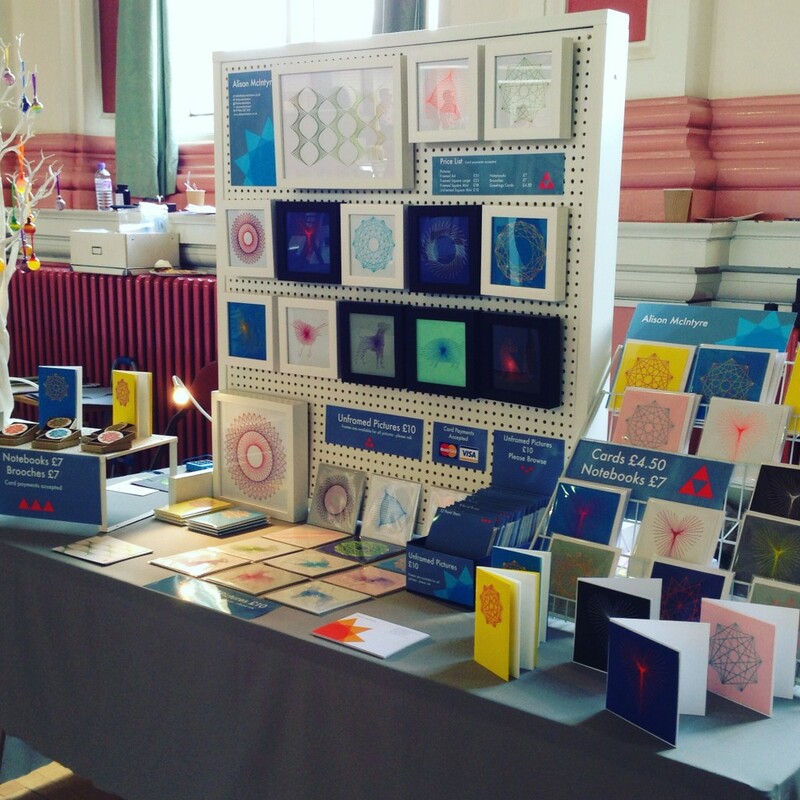 Here’s my stall from Saltaire Maker’s Fair. It’s taken me too long to get around to writing about it but I had a brilliant two days there in September. The quality of the work was extremely good, although as usual I only got to whizz around quickly to look at everything! I met some lovely makers, including Suzanne Jewellery my neighbour who makes gorgeous glass jewellery and baubles. Some of my other favourite things were Home Front Vintage who make beautiful products from the silk maps that soldiers used to keep in the packs during the war, Toby Cotterill who makes amazing silver jewellery in the shape of insects, and it was lovely to meet Lucy Elisabeth in person and see her fabulous wirework pictures. All these people were in the same room as me and as I only got a quick look around the other room my memory isn’t serving me as well, but it was all very impressive. The Saltaire crowd were great too, particularly on the Sunday when they were pretty much all up for talking and asking questions. It’s great when people want to do this as it’s so helpful and interesting to find out what people think about your work. So Crafts in the Pen in Skipton and the Hepworth Christmas Market in Wakefield are up next at the end of November. Looking forward to them already!